If you are a visual learner who finds that colour coding helps you learn better, then we hope these fretboard maps will help. These maps also show each pitch relative to it's pitch on the piano keyboard. Guitarists, do you know your fretboard? 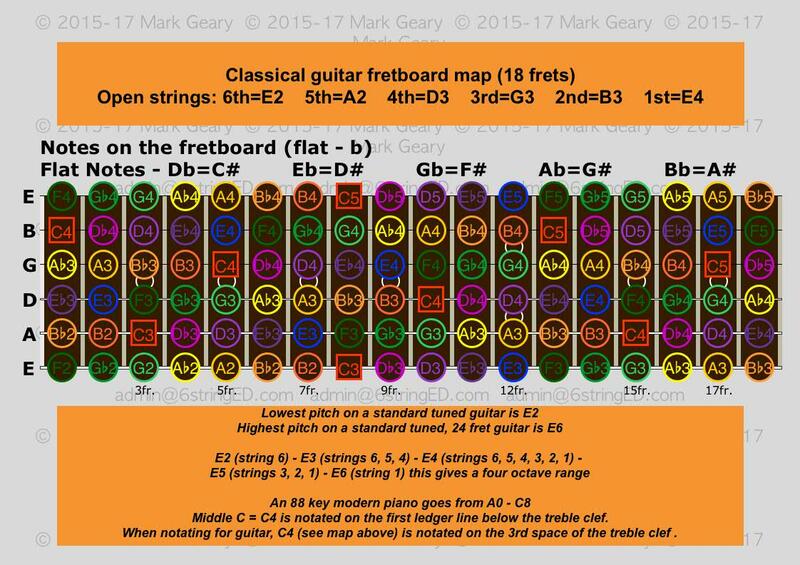 I have created these handy fretboard maps just for you, combining my colour codED system with Scientific Pitch Notation. Choose from Electric (24 & 22 frets); Acoustic (20 frets) and Classical guitar (18 frets) maps. Each map has a flat (b) and sharp (#) version. Download the higher quality pdf version below the viewer. 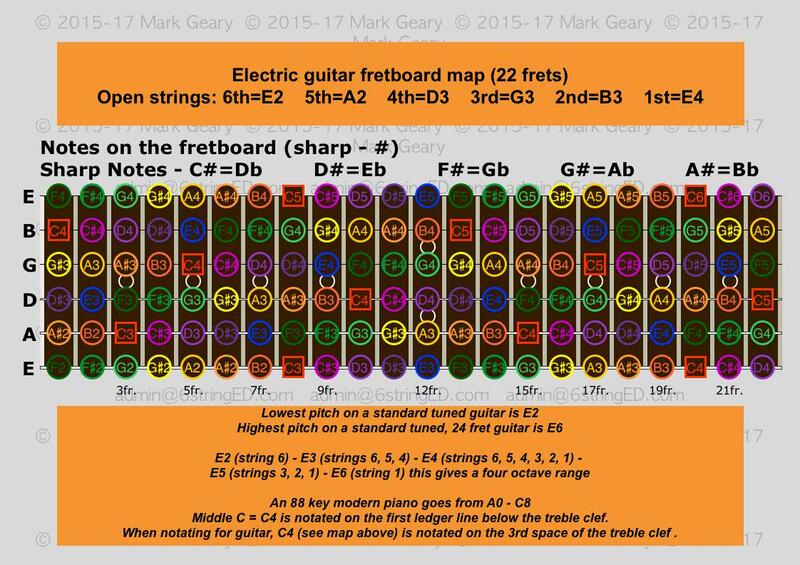 This fretboard map is customised for electric guitars with 24 frets. This fretboard map is customised for electric guitars with 22 frets. 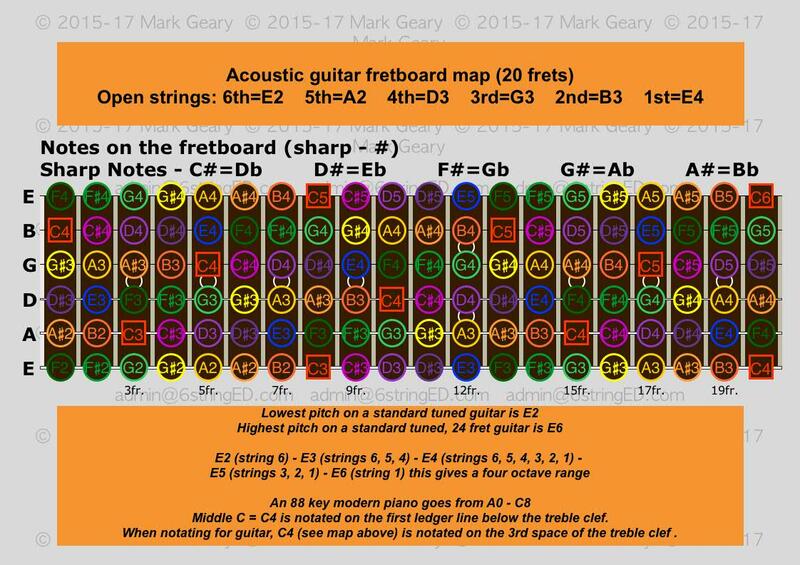 This fretboard map is customised for acoustic guitars with 20 frets. This fretboard map is customised for classical guitars with 18 frets.